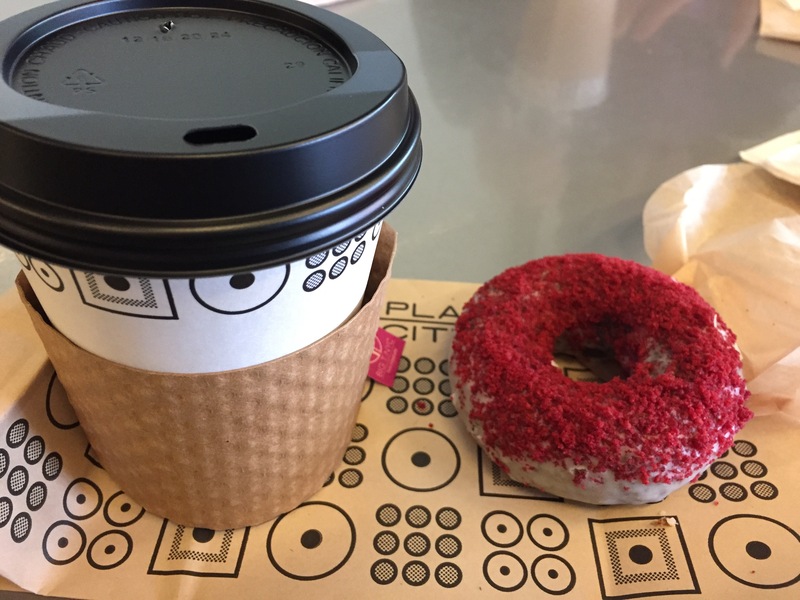 Speaking of nostalgia, the Red Velvet cake doughnut did speak to me, even though I was solely there for the ginger hot tea. (Thea might had pointed me towards that direction…she got a ginger tea, but no doughnut). The cake was very densely favored with the red velvet chocolate cake, with a light cream cheese icing and a blood red crumbly topping. Very good! It was a fun lunch with Thea. I don’t want her schedule (5am-1pm), but it was nice to step out of the routine every so often.